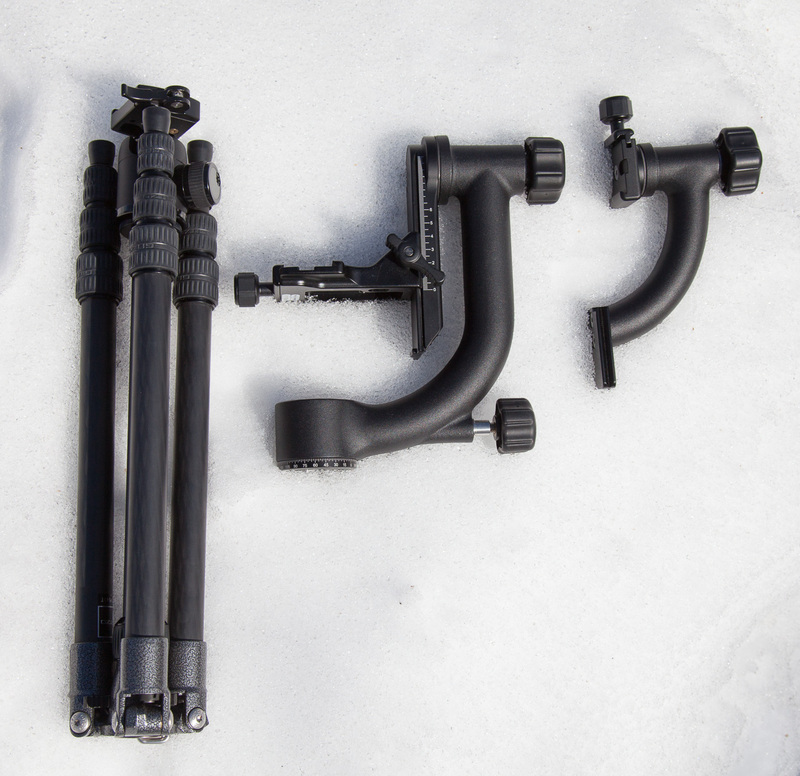 This is a short review of the cons and pros of a sidekick vs a full gimbal tripod head. 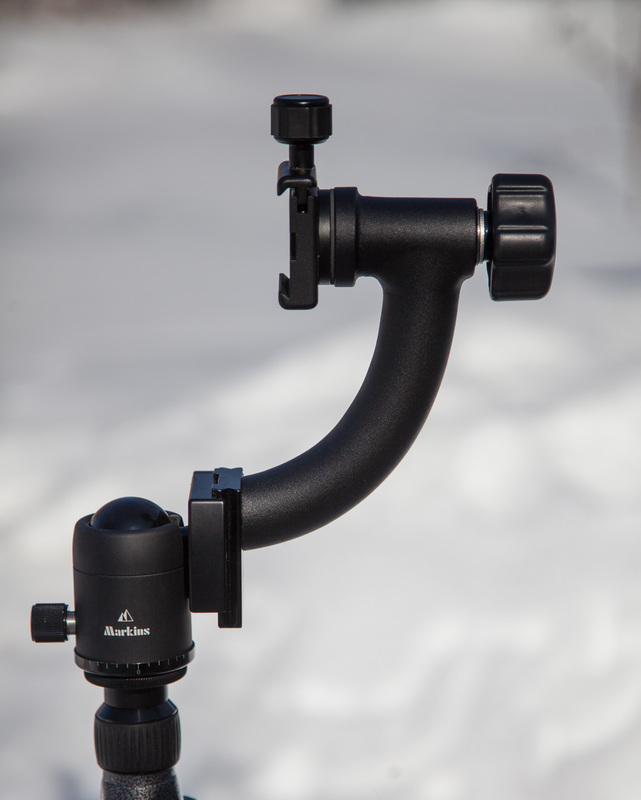 Our local dealer (Cyberphoto) carries a few different brands of gimbal heads and although most have similar design my choice fell on Benros GH-A and GH-2. As you can see the size difference is big. The GH-2 dwarfs the GH-A sidekick in comparison weighing in at 1.467 kg compared to the sidekicks 0.496 kg. That is almost 1 kg difference. It makes the Gitzo 1541T look very small. This is certainly something to consider if you want to travel light. 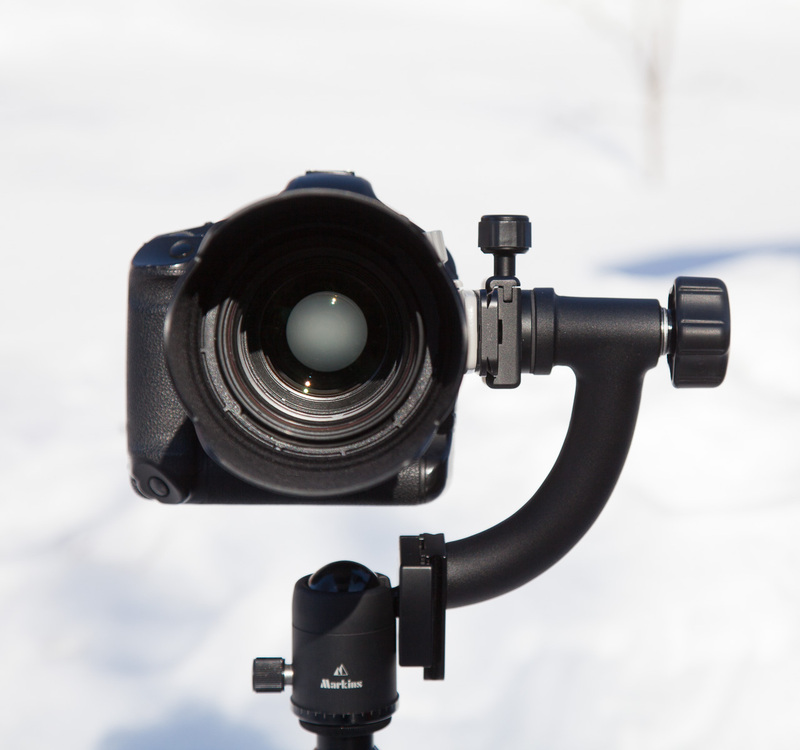 The sidekick is not a complete tripod head and requires a sturdy ballhead, with an Arca Swiss type quick release plate, to work. The Markins Q3T is rated at 30 kg maximum load and has no problem holding my 300 2.8 IS. 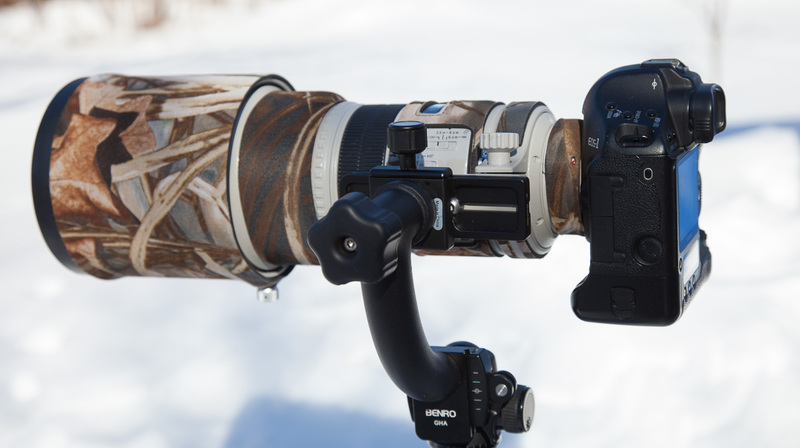 The setup is easy, although it takes some time, just tilt your ballhead to one side and fasten the sidekick. Make sure it is perfectly vertical or balance will be hampered. 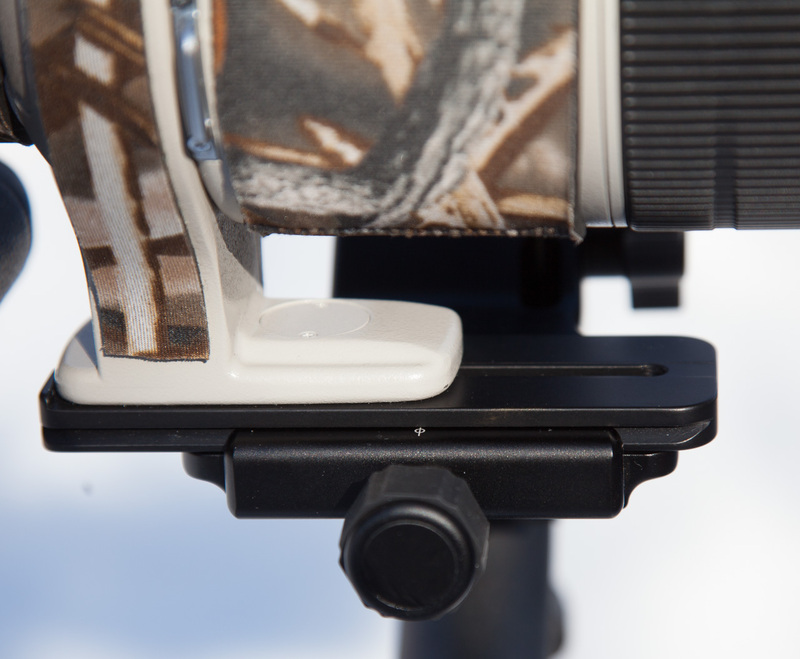 As you can see, the sidekick Arca Swiss plate has stop flanges to prevent it from slipping. Once everything is tighten down it feels really sturdy. I use Markins lens plates and they work just fine. I would recommend a 100 mm lens plate at least (I use a 120 mm). The 75 mm that Markins recommends for the 300 2.8 IS is much to short and the quick release shoe would l grip a part of it. I tested this with my Canon 1d Mark III and a lighter camera body like the 7d or the 5d would perhaps even longer lens plates is needed. As you can see the lens balances at the tip of the lens foot without extenders and the balance point shifts further back as extenders are added. 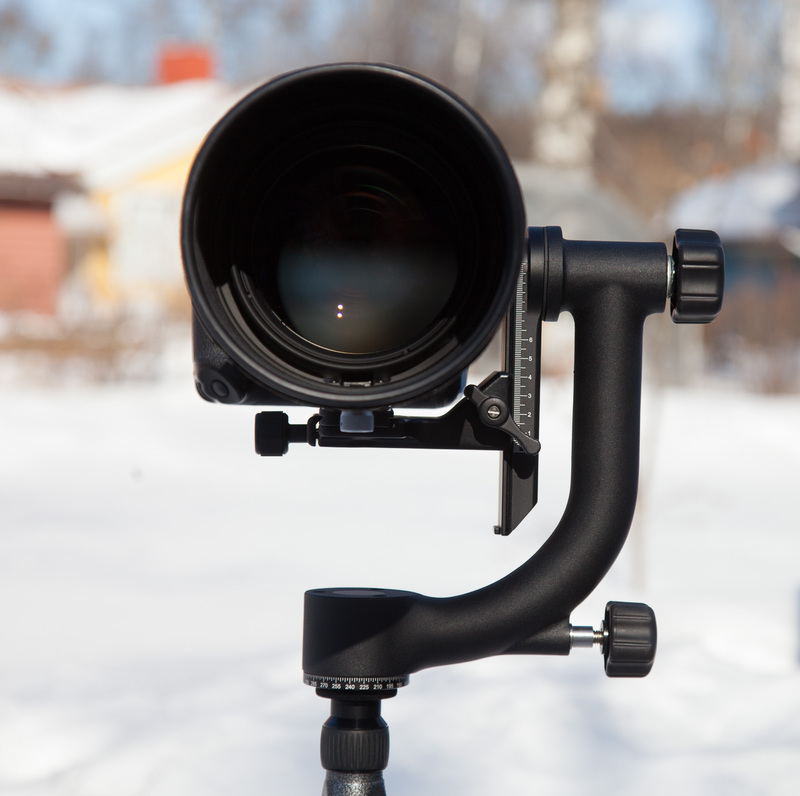 With a smaller, less front heavy lens, a shorter lens plate works well. I use a 75 mm Markins plate with my 70-200 f/2.8 IS II. Adding the 2.0 extender to the 70-200 would need a shifting of the lens plate back towards the camera body i order to be secure. There is however one potential problem with this setup. The lens will not become centered over the ballhead. 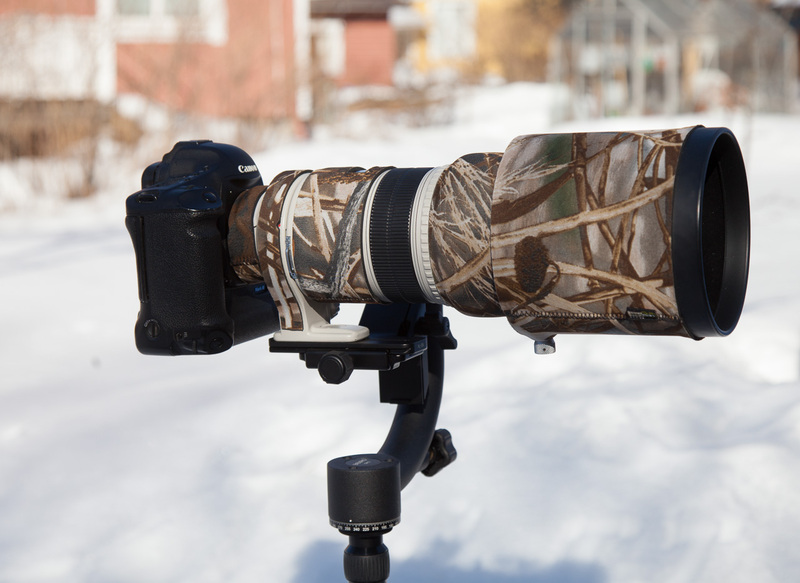 Not even with a smaller lens like the 70-200, although it lessens the distance. There are perhaps other ballheads (larger) that solves this problem but it’s non the less something to consider if you’re buying a side kick. The off centered position could perhaps lead to more wear and tear at the ballheads panning base over the years. This is where the GH-2 shines. It also adds a few centimeters in hight, which is not that bad considering the relatively short maximum hight of the Gitzo 1541T. 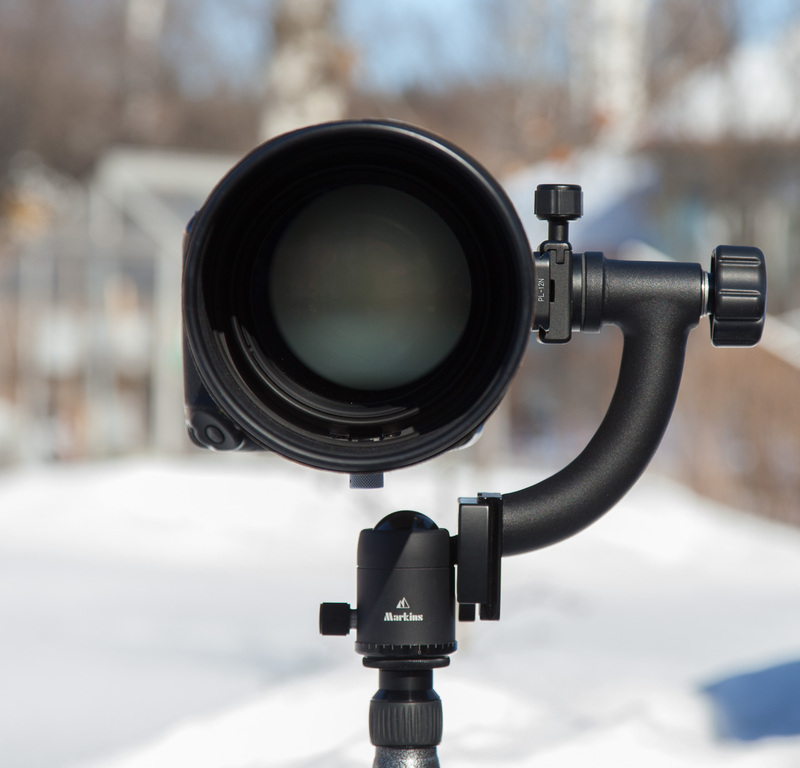 As for the lens plate, you will still need at least a 100 mm. The balance point is exactly the same as with the sidekick. 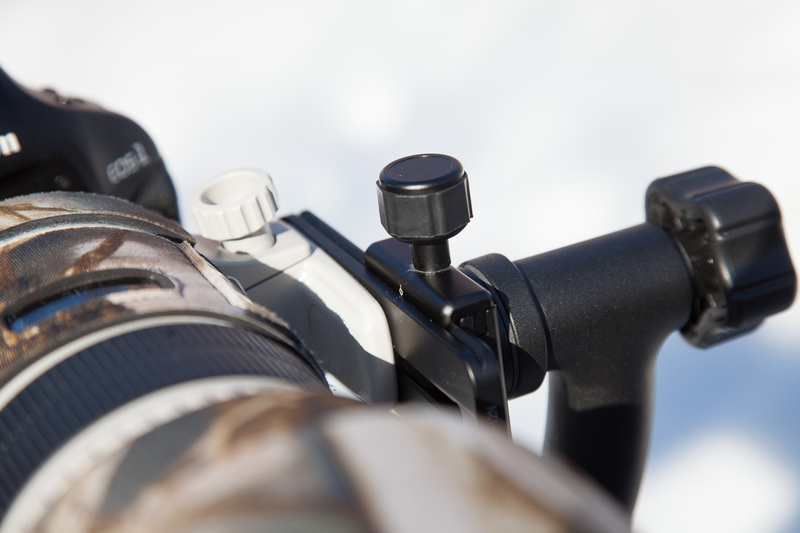 The quick release shoe is however much larger and grips a larger part of the lens plate which makes it feel more secure. 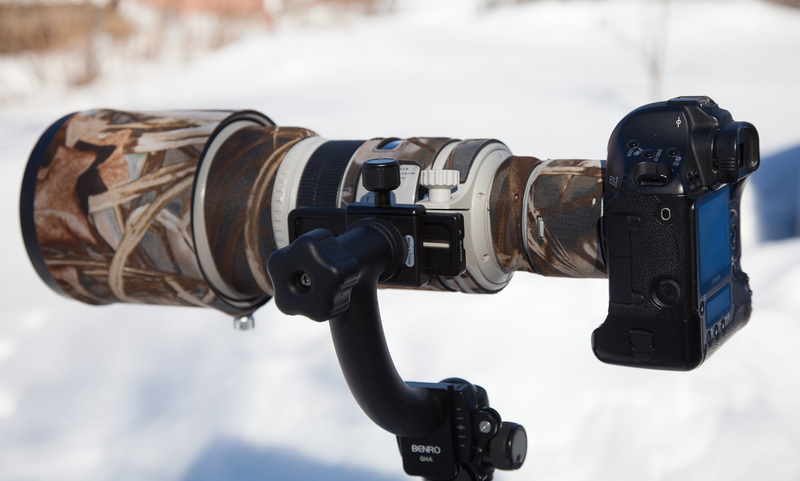 I also find the setup easier with the GH-2, its easier to find balance with a heavy lens. 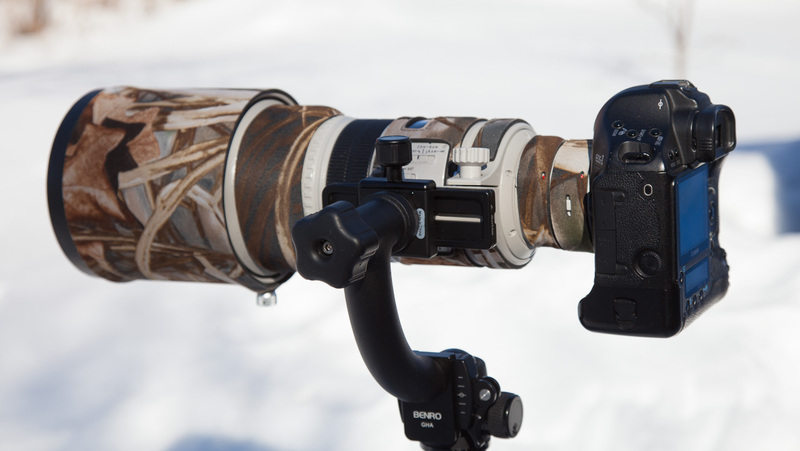 Both setups provided god enough stability in terms of movement and handling but the GH-2 felt more secure and stable somehow. 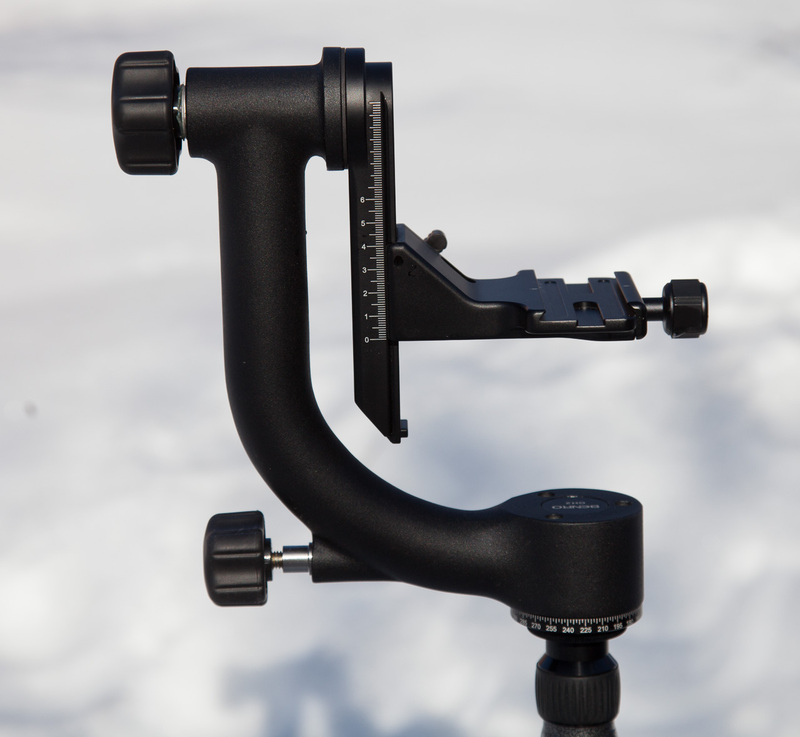 I also found the pivot movement (up and down) a bit smoother on the GH-2. 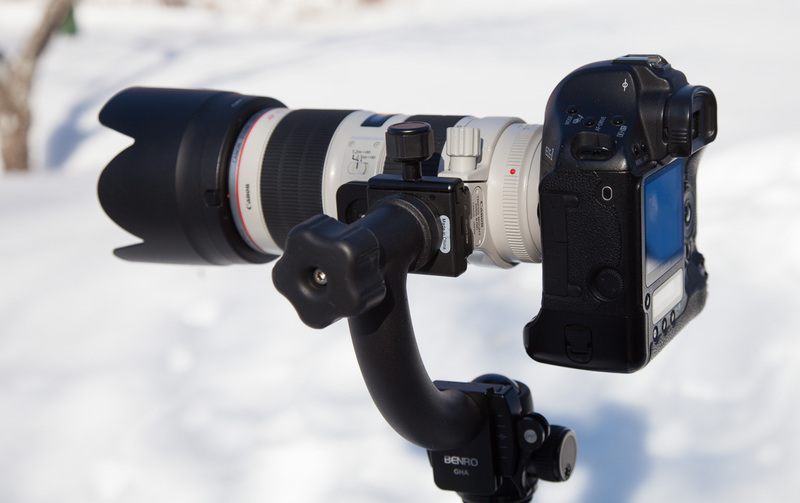 I wouldn’t hesitate using either of these setups although the full gimbal GH-2 wins in terms of stability and ease of use. The sidekick wins clearly when it comes to traveling. With it’s small size and low weight (0.496 kg) it will fit into almost any backpack. It also comes at half the cost. Im sorry to say that the Benro GH-A sidekick is no longer available but the Wimberly sidekick is almost exactly the same and can be found at www.tripodhead.com.